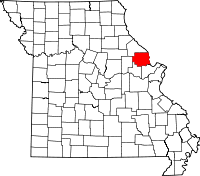 Lincoln County, named after the well known general in the Revolutionary War who accepted the formal surrender of the British at Yorktown, Benjamin Lincoln, was founded in 1818, a mere 6 years after Missouri officially joined the United States. Birth and death certificates, as well as marriage and divorce records can be obtained from the main state department, the Bureau of Vital Records with the Missouri Department of Health and Senior Services. Birth and death records are available from dates beginning in 1910, and marriage and divorce records begin in 1948. Missouri requires that applicants for birth records either be the original recipient, an immediate family member, or a legal guardian or representative. Applications can either be mailed into the Bureau after being notarized, or brought in person the local branch, the Lincoln County Health Department at #5 Health Department Drive in the county seat of Troy, MO.